Recency bias is one of a long list of behaviors that lead people to make decisions they might not otherwise make after more thought and reflection. Other examples of these biases are groupthink, impact bias, and the gambler’s fallacy. Recency bias is the tendency, based on human nature, to rely heavily on the latest data or events to make decisions. One of the best examples of recency bias can be found at the roulette wheel of any casino in the country. While we prefer not to use gambling metaphors too often when talking about financial decisions, they certainly apply to some forms of investing. Students of statistics know that every time a roulette wheel spins, it has about a 47.4% chance of landing on red and a 47.4% chance of landing on black (and don’t forget the 0 and 00 slots which are green). The wheel itself has no prior memory of its landing location. However, occasionally you’ll see a run of the same color five, six, eight or ten times, producing big wins for those placing bets on that color. Anyone who’s seen this happen in a casino knows that streaks tend to create buzz and excitement. What started as a sleepy table with a couple of players making bets suddenly turns into a raucous party that includes three types of people. The first group believes that the “lucky” streak will keep going, and place their bets accordingly. The second believes the “lucky” streak must come to an end, so they bet against the same color re-appearing. Both of these groups are relying on recency bias. They are taking into account the wheel’s prior performance in an attempt to predict its future outcomes. The third group at the table is there to watch all the excitement as most of the money gets swept back to the casino. These people know that the odds of landing on red or black haven’t changed despite the streak and that trying to guess what comes next is only that – a guess. Past performance is no guarantee of future results. It’s one of the most important and oft-repeated phrases in the investment world. On March 6, 2009, the Dow Jones Industrial Average (DJIA) closed at 6,626.94. On August 18, 2016, the index closed at 18,597.70, a whopping 180% increase. Unfortunately, the painful lessons of the crash of 2007 – 2009 have become distant memories for many investors. People once again believe that investing in the market isn’t so tough after all. Recency bias is one driver of the tendency to forget the conditions that contributed to significant losses for investors who panicked and left the market based on its most recent performance. Today’s more positive outlook can cause investors to make bets that are outside their risk tolerance or stated financial goals because we’ve not seen catastrophic market events in recent months. The best course of action for any investor, especially one who is approaching retirement, is to work with your advisor to establish goals and strategies that will ensure a secure and comfortable retirement. Stick to your flight plan and ride out the market’s short-term turbulence while focusing on long-term results. That way, your portfolio will work for you no matter what color comes up on the next spin of the wheel. 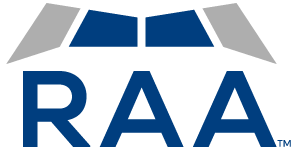 RAA is dedicated to helping our clients develop long-term financial plans that are guided by research and based on each individual client’s needs and goals. For more information on our financial planning process, or to speak with an advisor, give us a call at (972) 684-5923 or request a consultation session below.